In a normal environment, elections would be due in Iceland only in April 2017. But after its prime minster, Sigmundur Davíð Gunnlaugsson, suddenly resigned on Tuesday the small Nordic country could be headed to snap elections. If so, the beneficiary is likely to be the new Píratar (the Pirate Party), a protest movement rooted in the values of direct democracy and transparency, that would, if elected, grant Edward Snowden Icelandic citizenship. It’s a relatively new party formed in 2012 by Birgitta Jónsdóttir, a former Wikileaks official and social activist first elected as an MP in 2009 from the Citizen’s Movement that emerged out of the ashes of Iceland’s banking crisis and reelected as one of three Pirate MPs in 2013. The party is a motley protest group of hacktivists, anarchists and other outsiders. Staunchly in favor of greater privacy for individuals and more transparency in government, the Pirates want to reduce the working week to 35 hours and liberalize drug legislation. The weekend’s ‘Panama Papers’ leak revealed that the Icelandic prime minister and his wife owned an offshore company, Wintris, with over $4 million in assets. More damning, the company is a creditor to all three Icelandic banks that collapsed in 2008 and 2009. 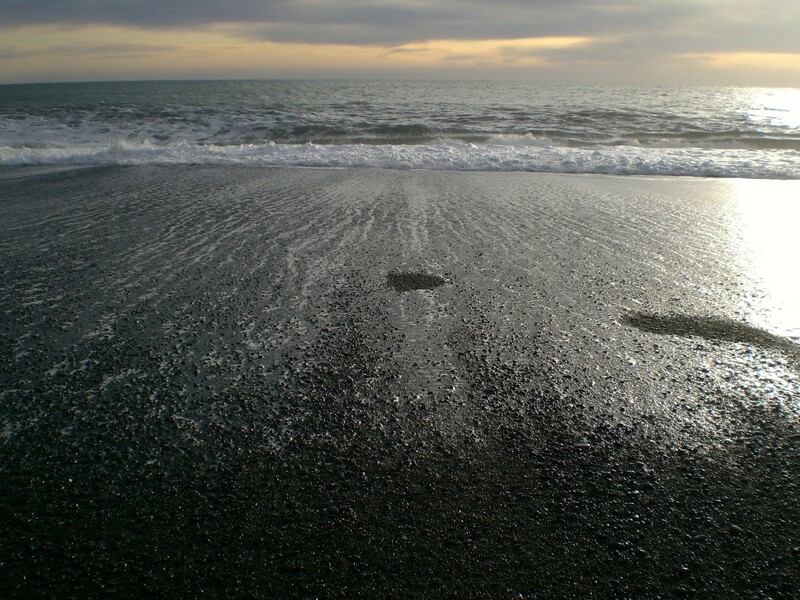 Previously undisclosed, the company’s existence (and its stake in Iceland’s failed banks) amounts to an unpardonable conflict of interest, given the role that Gunnlaugsson’s government has played in sorting out the post-collapse claims from remaining creditors against those three banks. Gunnlaugsson, who took steps to transfer the interest in the offshore company to his wife, never publicly acknowledged that Wintris was, in fact, one of those creditors, even as he campaigned on negotiating a hard line against those creditors. 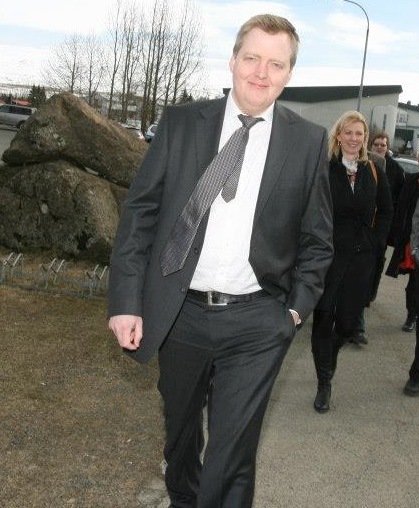 Despite the fact that Iceland’s long-ruling Sjálfstæðisflokkurinn (Independence Party) won about 2% more in voter support in Saturday’s parliamentary elections, it looks like Sigmundur Davíð Gunnlaugsson, the leader of the second-place Framsóknarflokkurinn (Progressive Party), will have the first shot at forming a government. That’s because both parties ultimately won 19 seats each in the Alþingi, Iceland’s parliament, and Iceland’s president, Ólafur Ragnar Grímsson, surprisingly decided to give Gunnlaugsson the first shot at forming the next Icelandic government. The decision shines a spotlight on the fact that in many countries, the head of state has quite an influential role in determining who will be the next head of government — in this case, it seems like Gunnlaugsson will nonetheless be on track to become the next prime minister, not the leader of the Independence Party, Bjarni Benediktsson. It makes some intuitive sense — the Progressives have by far the most momentum, having garnered nearly an additional 10% of the vote in the 2013 election, and although the Independence Party won the vote in Reykjavík and the small southwestern region of Iceland surrounding Reykjavík, the Progressives won more votes in all of the other regions of the country (though they are more sparsely populated). Although all signals from both Gunnlaugsson and Benediktsson are that they’ll form a center-right coalition, one possibility that I hadn’t considered is that Gunnlaugsson might join forces with other parties, leaving the Independence Party outside of government. That seems unlikely, of course, but it’s an avenue that’s more open to the Progressives than the Independence Party, given that the Progressives can make a marginally better argument that they represent a rupture from both the Independence Party that dominated Icelandic government in the decades prior to 2009 and the more recent government led by Jóhanna Sigurðardóttir and the Samfylkingin (Social Democratic Alliance) and their coalition partners, the Vinstrihreyfingin – grænt framboð (Left-Green Movement). 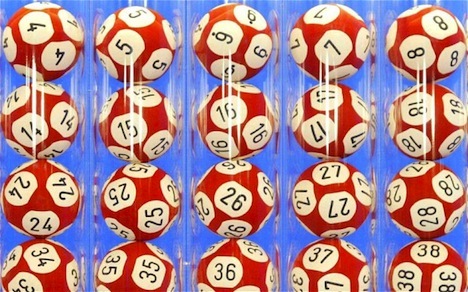 Mathematically, a government needs 32 seats for a majority in the 63-member Alþingi. Conceivably, and this is now in the realm of pure speculation, that means that Gunnlaugsson could team up with the Social Democratic Alliance and the Left-Green Movement for a 35-seat majority, though that seems nearly suicidal, given that the two parties suffered the heaviest losses in the recent election. It seems even more unlikely given the Social Democratic Alliance’s support for joining the European Union, a position that both the Independence Party and the Progressives — and even the Left-Green Movement — oppose. But another path might include a Progressive-led government that draws on support from the anti-EU membership Left-Green Movement and the most successful of the two newest parties in the Alþingi, Björt framtíð (Bright Future) — that would bring exactly 32 seats. 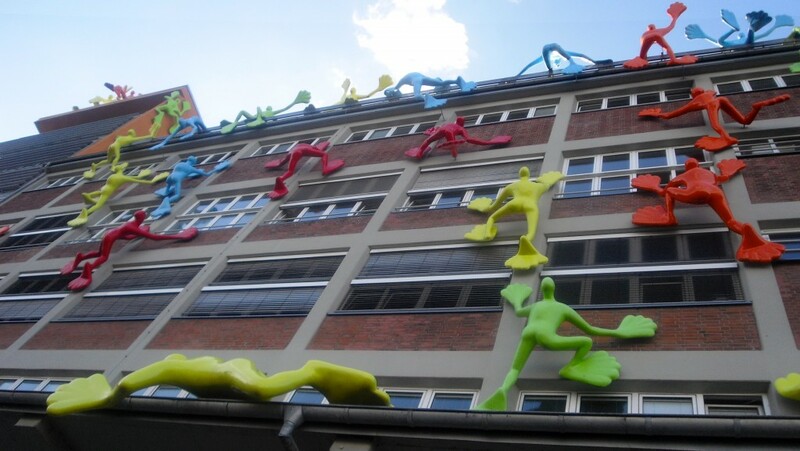 Bright Future was founded both by former Social Democrats and Progressives, which means that, despite its pro-EU membership views, Bright Future could be an easier coalition partner for the Progressives. What’s clear is that, for now, Gunnlaugsson would appear to have the greatest number of options, including several novel paths to a government that could shake up Icelandic politics more than we thought even over the weekend. Just a quick post to note the final results of Saturday’s Icelandic parliamentary elections. As expected, the center-right will return to power, with the top two parties, the Framsóknarflokkurinn (Progressive Party) and the Sjálfstæðisflokkurinn (Independence Party) widely expected to form a governing coalition, thereby returning to power in as wide a swing in Saturday’s election as the swing against them in the April 2009 elections. 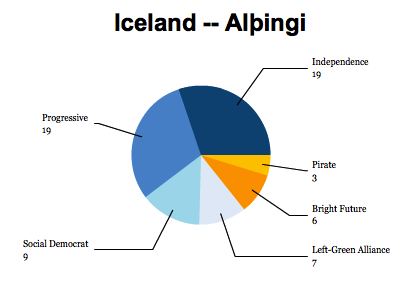 Although both parties will hold 19 seats each in the 63-member Alþingi, Iceland’s parliament, the Independence Party’s leader Bjarni Benediktsson will likely become prime minister instead of the Progressive Party’s Sigmundur Davíð Gunnlaugsson, though that’s far from clear, even today, with both leaders discussing options to form a government with Iceland’s president. The Independence Party, in particular, has long dominated Icelandic politics since independence from Denmark in 1944, and it was in charge of running the country in the decades leading up to the 2008 banking crisis — its leaders at the time, prime minister Geir Haarde and former prime minister and Icelandic central bank president Davíð Oddsson were widely blamed at the time for the collapse and for establishing the conditions that led to the collapse. The government which followed, led by Jóhanna Sigurðardóttir and the Samfylkingin (Social Democratic Alliance), in alliance with the Vinstrihreyfingin – grænt framboð (Left-Green Movement), represented the first government since the 1950s not dominated by the Independence Party. While it leaves office with, I think, a fairly strong record of having strengthened women’s right, returned Iceland’s economy to GDP growth and massively lowered unemployment to under 5%, Icelandic voters remain relatively strained, even five years after the crisis. GDP growth has returned thanks only to capital controls and the massive devaluation of the krónur, inflation has erased much of those gains for typical Icelandic households, many of which struggle under debt loads denominated in foreign currencies. Sigurðardóttir’s government also probably suffered considerably for spending too much time on a push for a new Icelandic (‘crowd-sourced’) constitution and on bringing Iceland into the European Union, a project that is now likely to fall apart. On Saturday, the Social Democratic Alliance lost 16.9% and the Left-Green Movement lost 10.8% from their 2009 result — it means that the Left-Green lost 50% of its 2009 support and the Social Democrats lost about 57% of its 2009 support. With capital controls still in place, a massively devalued krónur and galloping inflation, Iceland’s economy is not back to normal. 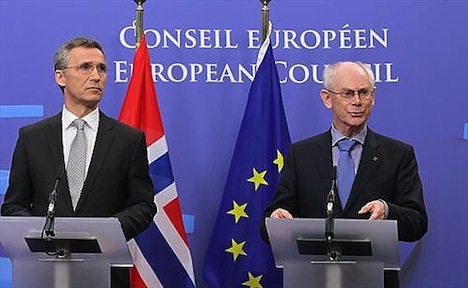 But it’s enough back to normal so that the window for Iceland’s accession to the European Union — or even, as was assumed during the worst days of its 2008 banking crisis, accession to the eurozone — is now very unlikely to happen. Regardless of whether Sigmundur Davíð Gunnlaugsson and the Framsóknarflokkurinn (Progressive Party) or Bjarni Benediktsson and the Sjálfstæðisflokkurinn (Independence Party) come out on top in Saturday’s election, they are likely to form a center-right coalition that will look to reverse many of the initiatives of the social democratic / leftist government of Jóhanna Sigurðardóttir over the past four years. Above all, none of the Sigurðardóttir government’s priorities is more endangered than the project of Iceland’s EU accession. Most news stories note that both a Progressive-led or Independence-led government would slow accession talks, but it seems likelier that Iceland’s next government would essentially end the talks indefinitely — they might not formally withdraw Iceland’s EU application, but they certainly won’t take any action to further discussions. While Gunnlaugsson has called for a referendum on the eventual result of talks, his party virtually alone among Iceland’s parties argues that the country should not reimburse the British, Dutch and other governments who reimbursed non-Icelandic depositors who put their savings in Icesave prior to its collapse in 2008. Benediktsson is hardly any more pro-Europe — he’s argued that Iceland should break off talks altogether and focus on deeper global ties, such as Iceland’s recent free trade agreement with the People’s Republic of China — the first such free trade pact between a Chinese and a European country, likely due to Chinese eagerness to enhance its role in the Arctic north. 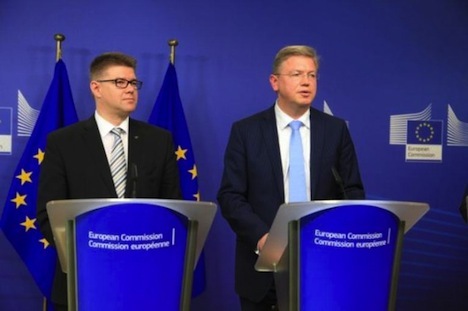 If for some reason a Progressive/Independence government does complete the accession talks, the result would be put to a referendum of Icelandic voters who remain highly skeptical of Brussels’s pernicious influence. So, what makes the Progressive party so popular? 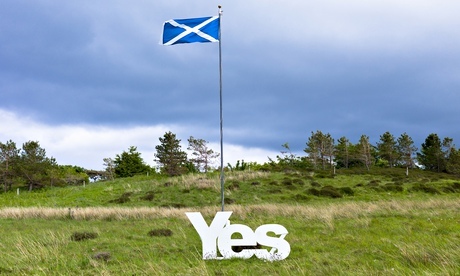 They are vehemently opposed to joining the European Union…. Indeed, many of the Progressives’ policies and declarations lean precipitously towards a new nationalism, with mildly xenophobic stances on issues such as immigration and asylum seekers, and party symbols that are vaguely reminiscent of fascism. The Progressive party was also the party that was most fiercely opposed to Iceland repaying the UK and Holland for the failure of the Icesave online bank. If [Gunnlaugsson] wins, it will be because Icelanders fear abuse and exploitation by outside forces more than they do a return to the corrupt days of old. Kim Jong-un, at age 30, is the world’s youngest leader, and there are only a handful of thirtysomething world leaders. 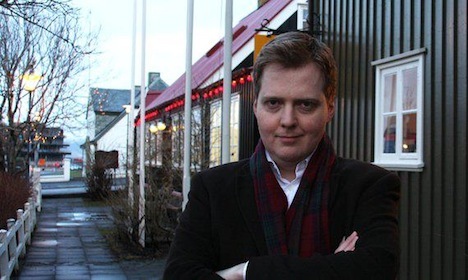 But if polls are correct, Sigmundur Davíð Gunnlaugsson (pictured above) may lead Iceland’s Framsóknarflokkurinn (Progressive Party) to victory in April 27’s parliamentary elections, giving the Progressives their best victory since 1931 and, perhaps, in its history. That would make Gunnlaugsson, at age 37, the country’s youngest prime minister since its 1944 independence. Icelandic voters go to the polls Saturday after a fairly tumultuous time over the past five years following the 2008 collapse of its banking sector, a massive depreciation and the introduction of capital controls on Iceland’s currency, the krónur, despite a return to tepid GDP growth after a 6.5% contraction in 2009 and an unemployment rate that’s now below 5%. I’ll sideswipe the long debate among American economists over whether Iceland’s economic policy was smarter than that in Ireland or the Baltic states. If you want an in-depth take from an Icelandic observer, read this instead. I’ll add that Iceland’s ability to set its own monetary policy certainly helped it bounce back in terms of GDP growth, but it also glided the path for a massive krónur depreciation and inflation that’s eroded those gains that Iceland has made in the past five years. Much of Iceland’s household debt, before 2008, was denominated in non-krónur currencies, and debt today is otherwise linked to currency or inflation indices. That has made debt repayment, especially for home mortgages, a grueling nightmare in post-boom Iceland. So the economic situation is Iceland is complicated, and though there’s a lot of evidence to suggest that Iceland’s economy might even be worse if it were part of the eurozone, that doesn’t mean that the everyday Icelandic voter feels like things are quite back to normal. But politics, however, do seem set to return to the pre-boom ‘normal,’ given that the Progressives were a longtime ally of the dominant party in Iceland’s history since independence, the Sjálfstæðisflokkurinn (Independence Party), which was formed precisely — as you may have guessed — to enact Icelandic independence from Denmark. The two parties are now fighting for first place in the April 27 parliamentary elections, and it’s virtually certain that they’ll form the coalition that constitutes Iceland’s next government. No party in Iceland’s post-independence history has even won an absolute majority in the 63-member Alþingi, Iceland’s parliament. Polls have shown the Progressive Party with a growing lead throughout 2013, stemming largely from their insistence that Iceland should not reimburse the U.K. and other governments for the Icesave debacle — non-Icelandic savers who had deposited their money in Icesave were wiped out in late 2008, and though their own government have largely made them whole, they have turned to Iceland for repayment with interest. Although most Icelandic parties agree that Iceland should make the payment, the matter’s been tangled up in both domestic and international litigation, and the repayments are very, very unpopular among the Icelandic electorate. 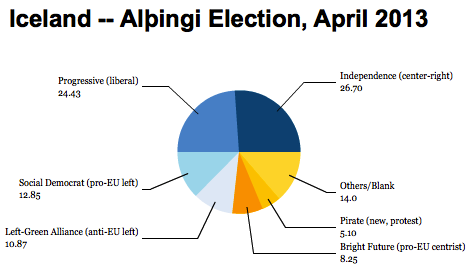 But the Independence Party seems to be catching up once again, and the two parties are now essentially tied for the lead, meaning that either party could win the greatest number of seats in the Alþingi. 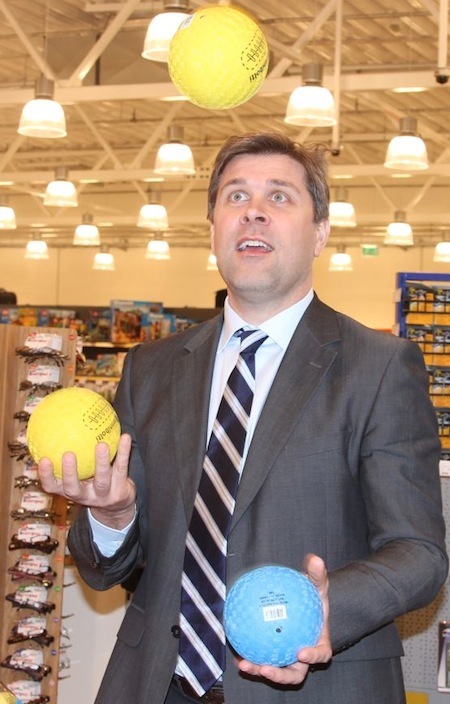 If the Independence Party does edge out the Progressives, Iceland’s new prime minister could be the Independence Party leader, Bjarni Benediktsson (pictured below), who only narrowly survived a leadership challenge a couple of weeks ago, when the party’s polling numbers were more depressed. It’s home to just 57,000 people, but when Greenland’s voters go to the polls on March 12, they will be choosing a path that could have global implications — for the European Union, the United States and China, and the future of the Arctic as an economically viable region, with climate change opening the far north to further development. The world’s largest island, Greenland is an ‘autonomous country’ within the Kingdom of Denmark, and the Danish have essentially ruled Greenland for centuries. But that, like many things these days in Greenland, may be changing. Denmark’s northern holdings — Iceland, Greenland, and the Faroe Islands — were key strategic locations during both World War I and World War II, giving them an outsized importance to the Allied powers in those wars. During World War II, U.S. and Allied forces used Keflavik airfield outside Reykjavík, in particular, as an important stop between North America and Europe. Germans attempted to occupy Greenland during World War II after occupying Denmark, but U.S. and Canadian forces protected the island from a full occupation, largely to protect its strategic power to the United States and Greenland’s valuable deposits of cryolite, an aluminum ore that was crucial to the Allied war effort — a hint of the battle shaping up today over Greenland’s mineral wealth. Although Iceland gained its independence from Denmark in 1944, Greenland’s status as a Danish possession endured. As the Cold War began, the U.S. continued to look to Greenland as an incredibly strategic holding — it allegedly offered Denmark $100 million to buy it in 1946 for its strategic use as an early warning station for any potential Soviet missile attacks on the U.S. mainland. Denmark demurred, and as the Cold War wound down, relented in giving Greenland home rule in 1979 — Greenland’s capital, Godthåb, was renamed Nuuk, and it would now have its own parliament. Following a widely successful 2008 referendum, Greenland obtained further self-rule capabilities in 2009 — its parliament is now responsible for all but the most high-level foreign policy and defense decisions, and Danish is no longer an official language. Greenland controls its own security, judiciary, and it’s essentially up to Greenlanders to determine the future of its potential mineral wealth. 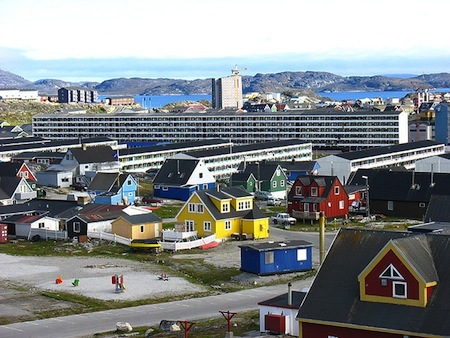 As a Danish province, Greenland became a member of what was then the European Economic Community in 1973, but following home rule, Greenland became the first — and so far, only — member to leave the EEC or its predecessor, the European Union in 1985. Membership was never popular in Greenland, where fishing has traditionally been an incredibly important industry, so Greenlanders have never been enthusiastic about opening up its waters to European-wide competition and, potentially worse, overfishing Greenlandic waters. Iceland remains a EU holdout for many of the same reasons — despite talks for Icelandic accession to the EU, concessions for fishing rights would likely be a key precondition to any eventual Icelandic membership. The longtime suspicion of EU exploitation of Greenland’s economy is at the heart of the most recent war of words between Nuuk and Brussels — in advance of elections, Greenland’s prime minister Kuupik Kleist (pictured above) this week sent a warning to the European Commission that Greenland is looking not just to Europe, but to China as well, in the bid to open up the Arctic north’s mineral riches. 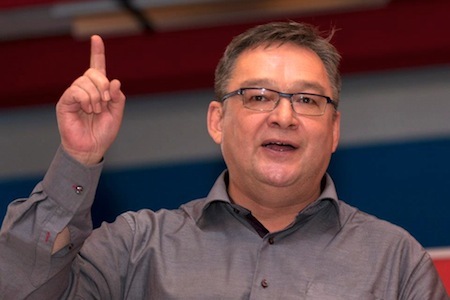 Kleist, one of Greenland’s most renowned musician, leads the Inuit Ataqatigiit (‘Community of the People’), a socialist and stridently pro-independence party that won election in 2009 after 30 years in opposition — just in time, perhaps ironically, to oversee the most rapid market-based transformation of Greenland in its history. Iceland is a tiny country of just barely more than 300,000 people, but it took a famously outsized role in the earliest stages of the 2008 financial crisis when all three of its private banks failed in rapid succession. Now, Icelandic voters will go to the polls this Saturday for a six-question referendum to determine whether to reform the country’s constitution and, if so, how. In contrast to Ireland, where the government nationalized and assumed the debts of its failing banks, Iceland simply allowed its banks to fail. Although growth has resumed in Iceland (3% in 2011) and unemployment is now falling (hovering at around 6.7%), the Icelandic economy remains quite subdued in contrast from the heady days when Reykjavík was angling to become one of Europe’s investment banking capitals. In the wake of that crisis, Icelanders have weighed many different reforms, ranging from joining the European Union to joining the eurozone to adopting Canada’s dollar as its currency. The former prime minister, Geir Haarde, faced charges in front of a special session of the Alþingi (Iceland’s parliament and, given its formation in AD 930, the oldest parliament in world history), and was convicted on one minor charge, although he has faced no formal punishment, aside from widespread disapproval from Iceland’s citizens. In the same manner, the constitutional reform process, which culminates in the October 20 referendum, also emerged from the crisis. Reform was one of the key promises made by the broadly leftist coalition under prime minister Jóhanna Sigurðardóttir that took power in 2009 — the coalition includes the Social Democratic Alliance (Samfylkingin), the Left-Green Movement (Vinstrihreyfingin – grænt framboð), the Progressive Party (Framsóknarflokkurinn) and other small parties. 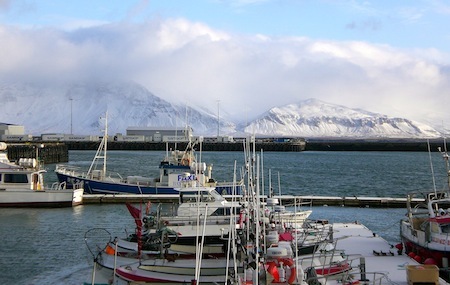 The 2009 election, which followed riots in the typically tranquil island nation, saw the once-dominant Independence Party (Sjálfstæðisflokkurinn) kicked out of power after 18 years in government. As such, a Constitutional Council of 25 Icelandic citizens has been working on proposals for constitutional reform — including by soliciting input on social media — and it presented a draft constitution to the Alþingi in 2011, which voted to refer the draft constitution to the advisory referendum to be held Saturday. The constitution would replace the version adopted in 1944 when the country voted to become independent from Denmark. It would essentially perpetuate the current government structure that includes a largely ceremonial president, a prime minster who heads the government and a president of the Alþingi, but enact other reforms. Several of the key issues include the removal of the Lutheran Church as the ‘state church’ of Iceland, the addition of more direct democracy rights, the addition of more information rights for citizens, and the inclusion of a provision that would strengthen state control over natural resources not currently under private ownership. Last week, the economic blogosphere lit up with a report from The Globe and Mail that Canada’s ambassador to Iceland would address the possibility of Iceland replacing its beleaguered currency, the króna, with the Canadian dollar. When the story broke, the speech was cancelled, but economic commentators have been discussing the possibility ever since: should Iceland replace the króna with the loonie?